Storage of your equipment properly is very important. 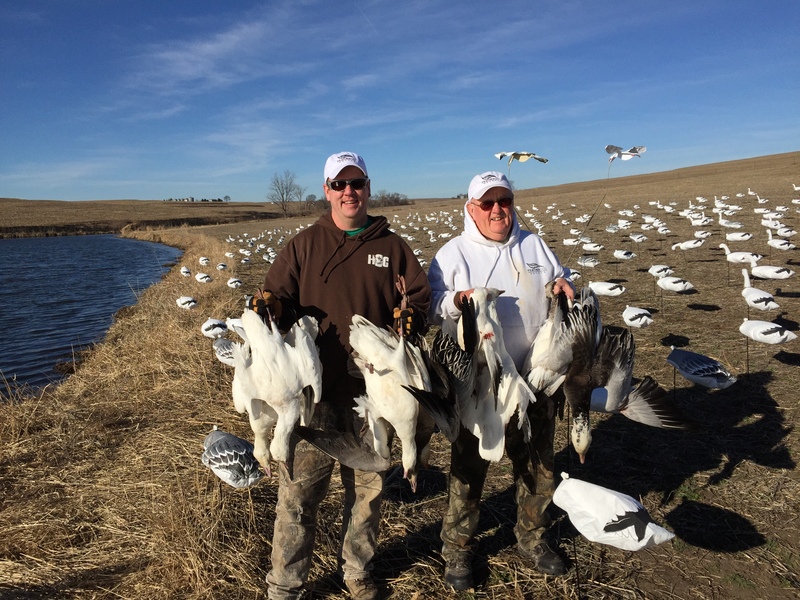 By following these steps below prior to storing your decoys, electronic snow goose call, guns, blinds, trailer, and clothing you can be assured they will be ready to go next year. 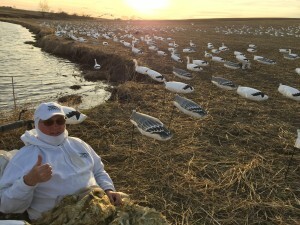 Windsock decoys – Clean off all the stake to make sure they are free of mud. Any bags that are full of mud should be cleaned off also with cold water. If running FeatherTek windsock snow goose decoys make sure the collars savers are pulled down. This will make sure the collars come out in great shape for next season. If you socks do not have collar savers I recommend not packing as many per tub to reduce the crushing impact collars have without collar savers on them. Store your decoys in large plastic totes instead of decoy bags for long periods of storage. Totes not only store and stack better than bags but they reduce the weight on top of each decoy. You never want to crush your stuff for long periods of storage, especially in heat. The next steps is very important! Put a good amount of moth balls or dryer sheets in the top and bottom of each one of your decoy storage containers. This will keep the mice and other pests out of your decoys. I have done this since day one and never had problems. Full Bodies – If they are dirty make sure to get all the mud off of them with a hose and brush prior to storage. Store them in as cool a spot as possible. If leaving them in the rafters or in a trailer make sure the decoys are not piled to high on top of each other or other weight on top of them. This will reduce the likely hood of the plastic warping during storage. Remove all batteries from the call and mp3 player. Charge the battery running your ecaller and place it on a battery tender all season or make sure to charge it once a month to keep it topped off. Clean it and store it in a safe place. Nothing worse than a rusty gun come fall. I leave my blinds with dirt on them unless it is think mud. This keeps the shine down. Make sure all the air vents are closed to keep moisture out. Try to keep the stacking of gear to a minimum on the inside. This will prevent things getting bent or warped over time. Make sure the trailer is tilted backs lightly in the case rain gets inside your trailer it will drain out the back door. Give your snow goose clothing a good wash with one of the brands of deer hunting soap. By using the steps above you can be assured that your equipment will last for many years.